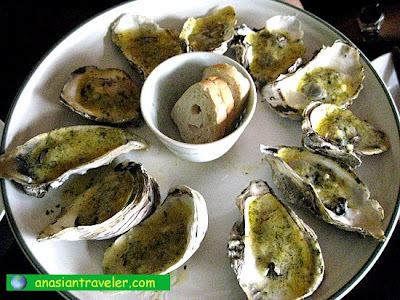 We did a fair amount of web surfing on Davao restaurants and found Talaba Joe on the list. This restaurant is small with only seven tables inside. 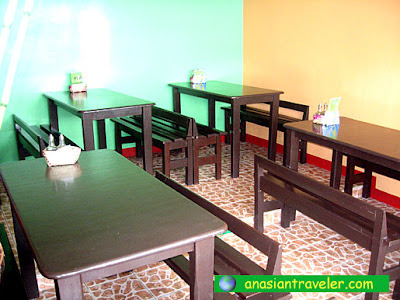 It has uncomplicated menu offerings written on a blackboard with prices friendly on the wallet. As we walked into the restaurant, there were no customers present at that time. 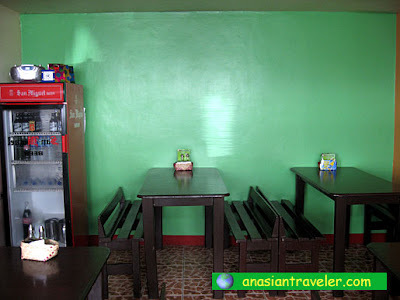 We went there looking forward for a fresh and steaming scrumptious Talaba (Oysters), which is their signature dish. They offer a number of cooked oyster dishes but we decided to try first their baked oysters. But sad to say, the food was not up to the level we expected. It was a bit cold and not perfectly cooked. It wasn't fresh as we noticed a whiff of something unpleasant. Overall, it was a ho-hum and forgettable oyster. We also found out that the grilled fish and some desserts that we ordered were not available. 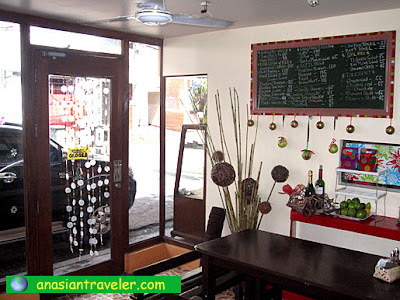 Talaba Joe has a good location and laid back ambiance with some nice native decor. But other than that, I'd say we were a bit disappointed. I do hope they'll improve their food and service next time. looks like a place seafood lovers will enjoy but definitely not me. i dont eat shell food. I'm a seafood lover and I can feel your disappointment on getting a not so fresh oyster when it is supposedly their specialty. That's what I like in your posts.. your honest reviews. Hmmm...I am now salivating on those great looking oysters! I'M JOEL OF TALABA JOE, THANKS FOR ALL UR COMMENTS, WE ARE CURRENTLY ON HIBERNATE MODE, HOWEVER, FOR CAKES, OYSTERS OR OTHER SPECIALYT ORDERS U CAN STILL CONTACT US AT CEL 09209541074. THANKS MUCH.